Is Malaysia real estate still hot? Home > Featured > Is Malaysia real estate still hot? Posted on July 2, 2017 | 16780 views | Topic : Featured, Investment, Latest News, News & Articles, Property News. Affin Hwang Asset Management head of equity strategies and advisory Gan Eng Peng. Property commentators have opposing views when it comes to the direction of the Malaysian real estate market. As such, should young Malaysians go all out to invest in their first property or take advantage of a favourable rental market? 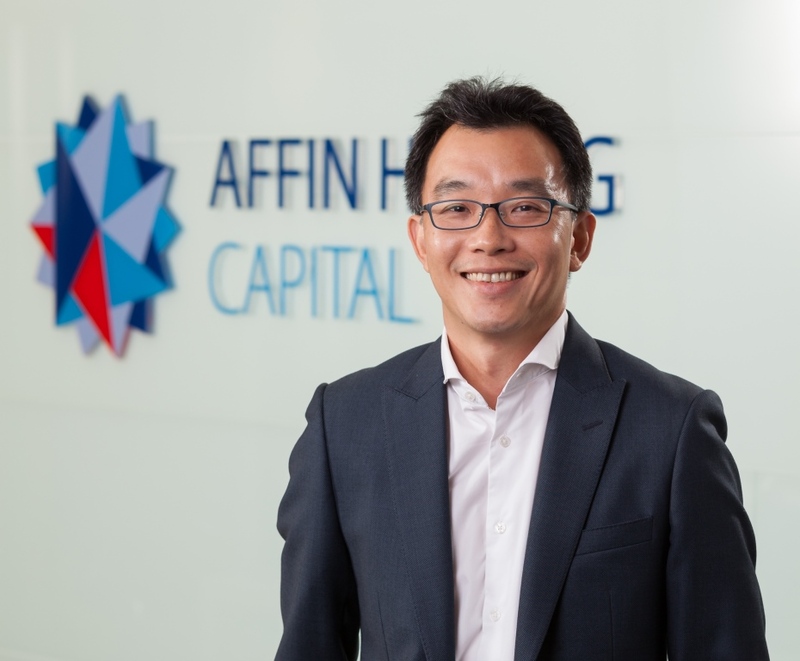 To dig deeper into this debate, StarProperty.my spoke to Affin Hwang Asset Management head of equity strategies and advisory Gan Eng Peng. Q: Are you still bullish on Malaysian properties? Gan: In our view, there is limited room for property prices to trend upwards as income growth is just not proportionate to the increase in property prices seen today. Thus, any increase in properties prices will be gradual and is unlikely to be as explosive as what we have seen in the last five years. Property developers are also constrained as they have to deal with rising land, building material and labour costs and thus are unable to price their units cheaper. Developers may be able to maintain existing prices, but units will likely be smaller too as they have to defend their margins. Q: If we look at the compound annual growth rate (CAGR) of properties in Malaysia over 35 years, it’s only within the range of 4-5%. Acknowledging this, is the real estate boom of 2010 – 2014 giving property investors a misleading expectation of ROI? G: When calculating one’s returns or ROI on property investments, it is also important to also take into account rental income and not just capital gains. This should increase total returns over time and give a more comprehensive picture of total returns or ROI figure. Q: Some notable property experts economists have openly stated that the influx of huge investments by other countries into Malaysia is poised to radically drive property prices upwards. One even said Malaysia will be like HK within the next five years. As such, people who can afford to buy cannot wait any longer or they will miss the boat entirely. Are such statements exaggerated? G: The statement that Malaysia is experiencing a similar property-price inflation scenario like Hong Kong is to a certain extent true. We have seen land prices increase in Hong Kong and Singapore despite a soft property market. This is largely influenced from foreign buyers, and Malaysia is seeing the same scenario. In the end, any decision to invest especially one that involves a huge capital outlay like property must go back to the investor’s objectives and goals. Are you buying the property with the decision to live in the unit or for capital appreciation and rental income? Getting caught up and scrambling together with the rest of the market – otherwise known as the risk of FOMO (fear of missing out), may lead to irrational investment choices, which could lead to taking on huge risks that would otherwise exceed their initial tolerance level. We saw this occur in 2013 and 2014, when there was a mad-dash to enter the property market due to attractive financing packages available in the market [eg. developer interest bearing schemes (DIBS)] – where developers were offering 10% downpayment schemes without any further payment due until keys are handed over. There are also cultural implications when it comes to these decisions. Typical Asian values and stereotypes of success commonly involve owning your own home, car, having a high-paying job and so on. On its investment merits, an investor would certainly gain from the capital appreciation of owning a property. The reasons are as land becomes more scarce, compounded with other factors like rising cost of materials, income growth and population demand, property prices will appreciate over the long-term. However, as previously mentioned, this pace of increase will be more gradual now. However, irrespective of the investor’s objective, it pays to always plan ahead and start early if you are planning to buy a property. Q: Affordable housing in Greater KL is within the range of RM500,000. By a rule of thumb, one would need a household income of RM8,000 to 9,000 to safely buy a property at that price. If the regulations for housing loans do loosen, should households with an income less than RM8,000 take the risk by investing in a home around RM500,000 or continue renting to be safe? G: Given that it is an election season, markets are hopeful that the government may loosen property policies as it seen as a populist move. Possible measures could include lowering of RPGT and stamp duties, and implementation of further measures to boost the affordable housing segment, especially since 60% of household wealth is tied to the property. Q: Is it a good time to buy a home? What are the reasons that people should still invest in properties, as well as the caveats if there are any? G: In the end, it goes back again to the investor’s objectives of purchasing a property. If the decision is to live in the unit, it pays to start early. Biting the bullet and taking the first step always feels like the hardest, but everyone needs to start somewhere. If the decision is to buy property as an investment, then it usually boils down to the location. This is especially true for developments that are located in matured locations with good supply-demand dynamics, good connectivity or have existing physical infrastructure and amenities. A key trend emerging in the property space is Transit-Oriented Developments (TOD) which is a type of community-based development that includes a mixture of housing, office, retail, public transport and more all integrated into a collective development space. That includes developments like PJ Sentral, Cyberjaya City Centre, and Kwasa Sentral. However, these units are expensive and are typically priced above the surrounding areas, but the advantage is that they are already located in mature areas with an existing ecosystem of various infrastructure and facilities. One could also consider REITs as another option for investors who are keen to diversify their exposure and enter the property market. Unlike purchasing a property which of course requires a huge initial capital outlay, REITs are traded on an exchange and present a much affordable entry-point for investors who are keen on having some exposure to the property sector. Malaysia REITs (M-REITs) still offers attractive yield spreads and dividend per unit (DPU) growth, with more upside seen for retail REITs. Q: Under what circumstances should one continue to rent instead of buying? Perhaps keep your cash until more affordable homes are rolled out etc? G: Income levels and affordability are factors which obviously have to be taken into account when making a decision between buying or renting. These factors are not always within one’s full control, some of us may just prefer to rent because of the flexibility and mobility that it allows. Shifting demographics especially younger population groups who are now entering the market may also find the option of renting more appealing, as they do not want to be tied down by long-standing financial commitments.